Mastercare has decades of experience in commercial office cleaning from both an operational and hands on perspective. 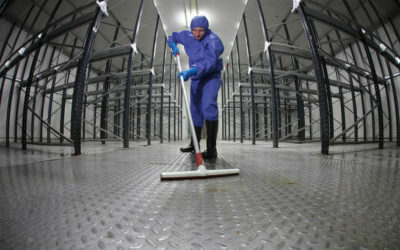 There are several factors that go into choosing a commercial cleaning company. Here are five reasons why you should choose Mastercare for all your commercial office cleaning needs. Customised solutions: Our clients come from business and government sectors, they work in offices and the automotive industry, in banking, aged care and education – you name it. Whatever your sector, we tailor solutions to fit your needs. Customer service: Through our years of experience in the commercial office cleaning industry, we have developed a reputation for outstanding service delivery and provide property services 24 hours a day, 7 days a week. Credentials: We set the benchmark in commercial office cleaning not only for our specialised and tailored property services solutions but also for our environmental credentials, adherence to occupational health and safety requirements, and ongoing training and support. Climate change: Wherever possible, we are eco-friendly and minimise environmental waste to reduce our carbon footprint. We are also members of the Green Building Council of Australia and subscribe to the ‘True Green @ Work’ program. Client referrals: Our attention to detail, and the ability to listen to our clients’ needs and respond accordingly, has helped us achieve the three ‘R’s of a successful business: a high retention rate, repeat business and referrals. Mastercare has decades of experience in commercial office cleaning, in a diverse range of Australia-wide industries, including the private, government and industrial sectors. Contact us for more information on why our clients use us for all their property services needs. Request an obligation free quote today. Mastercare is home to some of the best commercial cleaners in the business. We have more than 30 years' experience in office cleaning and commercial cleaning, and provide 24/7 business cleaning services. Mastercare also offers exceptional 40 years experience, so if you're looking for an office cleaning business that's backed by a respected brand and a great team of helpful professionals, get in touch today. To keep up to date with our service offerings and promotional discounts. Receive the latest specials, join our mailing list! Copyright © 2018 Mastercare Property Services. All Rights Reserved. Please insert your details, we will contact you shortly.